The smallest sedan in the Mazda lineup is the Mazda3. It's certainly larger than the MX-5 Miata but it is much more compact than the Mazda6. 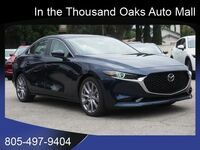 With high performance, technological features abound, and great style, the Mazda3 is one of the best cars in its class. 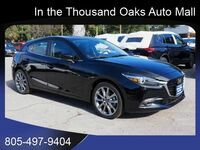 Speaking of its class, let's take a look at how the new Mazda3 compares to the 2018 Honda Civic. The Civic is a well-respected, successful compact sedan, so we thought it would be a great competitor for the Mazda3. We are dedicated to supreme customer service. That is why we have devised these model comparison pages. We’ve done some research so you don't have to. Keep reading to see what we found. 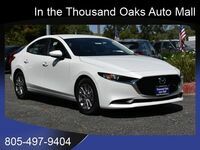 What should stand out the most in the table above is that the Mazda3 comes with technologies that just aren't available on the Civic. 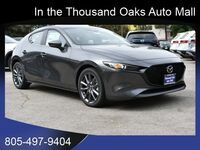 Let's explore some more technological advancements on the new Mazda3. MAZDA CONNECT™ comes standard and is Mazda's groundbreaking infotainment system. Drivers can connect to music, navigation, messaging, and more right on the MAZDA CONNECT™ display screen. High beam control, rear cross traffic alert, lane departure warning, adaptive front lighting, and blind spot monitoring all come available as safety features that keep you as aware as possible. 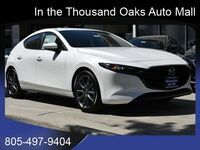 Those interested in learning more about the 2018 Mazda3 should contact Neftin Westlake Mazda. Our sales staff can go over all other questions you have and even compare it to other similar vehicles. Come by soon or schedule a test drive online. Either way, we hope to see you in the near future!